Somehow, even though I don’t like colors other than blue, purple, grey and black… I occasionally like pink. … but I don’t really want to wait until next year for the twin ones. Maybe they’ll just be late for Valentine’s Day. 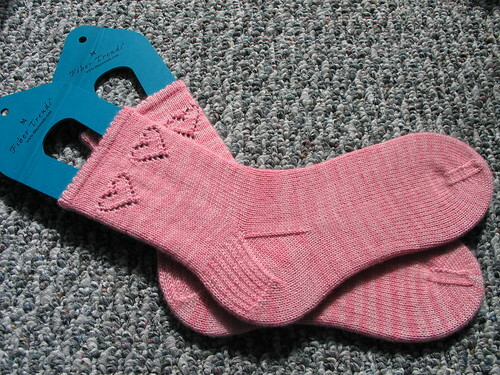 I had an idea for some crazy cabled socks. And so I made them, and I had a fun photoshoot with my fabulous photographer Louise. We went to Gasworks park, and even though it was cloudy and a bit cold, we had lots of fun. 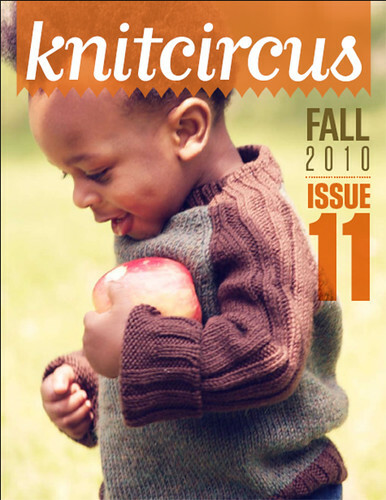 The design was submitted to Knitty for the First Fall issue this year, but it wasn’t accepted. 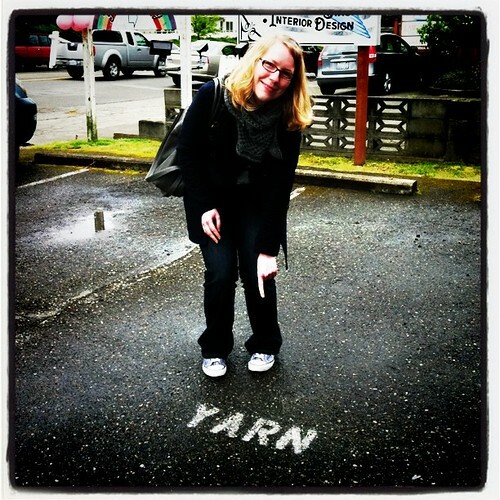 I struggled on what to do with it, but when I saw a call for Yarn Forward magazine, I decided to give it a try. 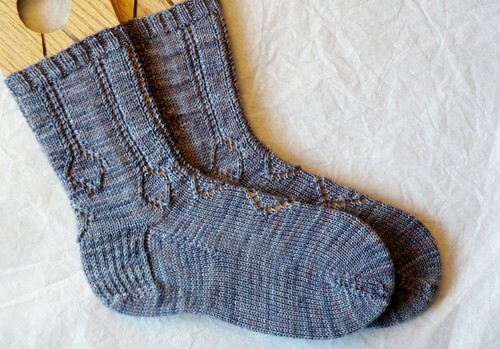 Since the socks were originally knit with yarn from a US indie dyer, (my good friend Stephania over at Three Fates Yarns) I reknit them with yarn from a UK indie dyer (Wild Fire Fibres) for Yarn Forward. You can buy the issue online here currently only through Yudu but hopefully soon as a PDF, or in magazine form if somewhere stocks it near you. I’ve heard people have found it at Borders. My pattern Jera was in Knitcircus in the Fall 2010 issue. Now that the winter issue is live, it’s available for sale on Ravelry. My fabulous photographer Louise and I had a little photo shoot earlier this week. Then my fabulous layout-designer MJ made me a cute logo and a layout and then stayed on Skype chatting with me as I tweaked it into its final shape. 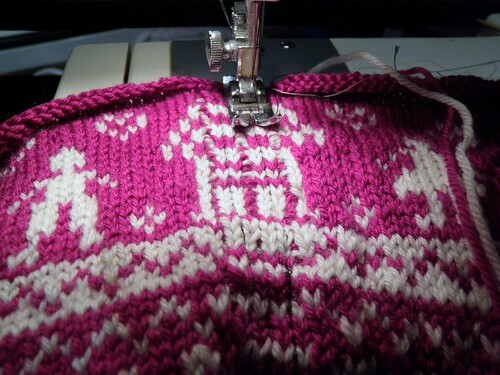 Over the next while I’ll convert my older patterns to the new fancy layout. 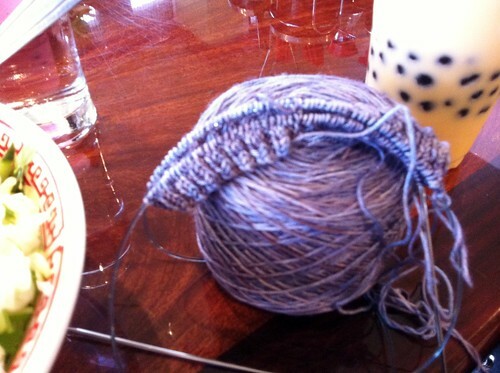 More knitting to come soon. This ended up being one of my quicker designs… I started it in April and had it accepted in May, then knit up the samples and sent them off. And the wait for publication isn’t even that long – it’s good for impatient me. 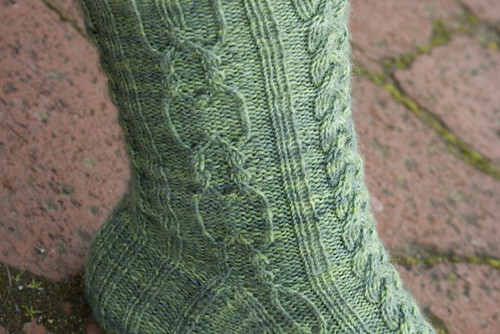 These socks are inspired by the rune Jera (pronounced yer-ah). It’s the 12th rune of the Elder Futhark, representing the year or the harvest – a good match for fall. Once upon a time I had an idea. 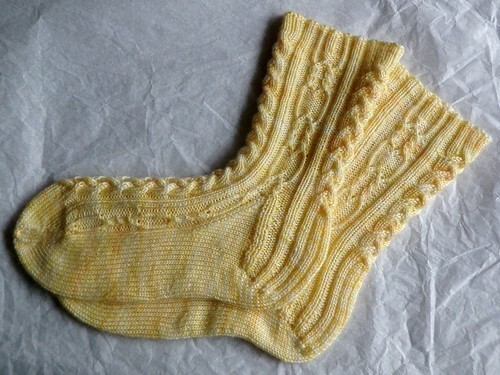 It was an idea for a sock pattern, inspired by the poem The Road Not Taken by Robert Frost. 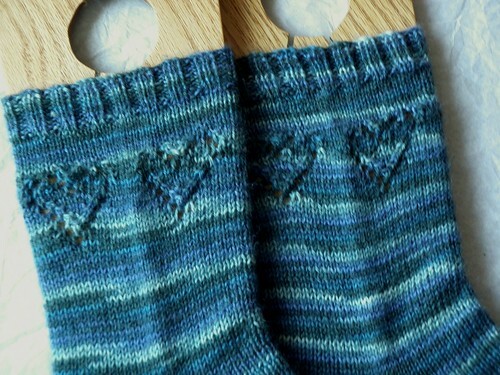 A sock with paths that split apart and came together again. But it took me a long time to make it. Finally, about a year ago, I did. And then my pattern just sat. After all that waiting I had other exciting things going on, and I still wanted to do something special with my little pattern. Then I recently heard about the Knit Picks Independent Designer Partnership Program and thought it sounded like an interesting idea. 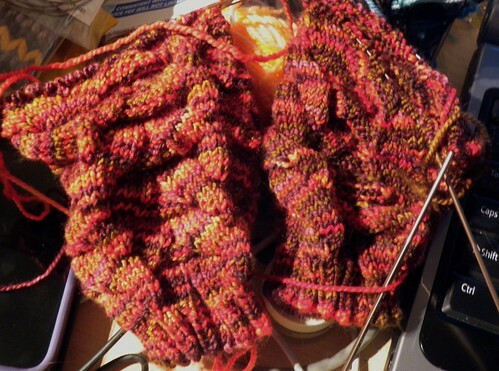 The real reason I design, other than to get those pesky patterns out of my head, is to see other people knit things I made up. 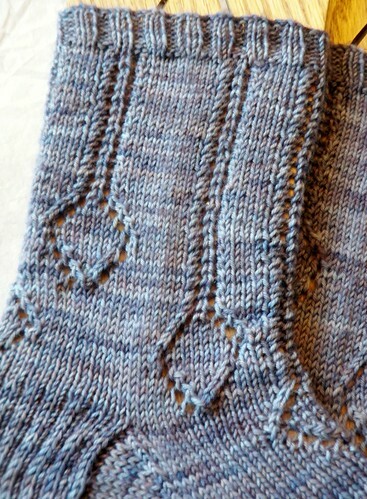 I think Knit Picks will probably bring this pattern to a wider audience than just my fabulous blog readers and the people who happen to stumble upon it on ravelry. 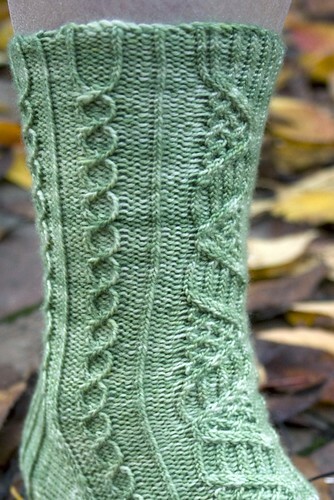 Hopefully some of these people who like Diverged will also want to knit other things I’ve designed. It’s definitely worth trying, so I decided to go for it. The pattern should be up in the IDP section in a couple of days – just a little over a month after my first email to them. 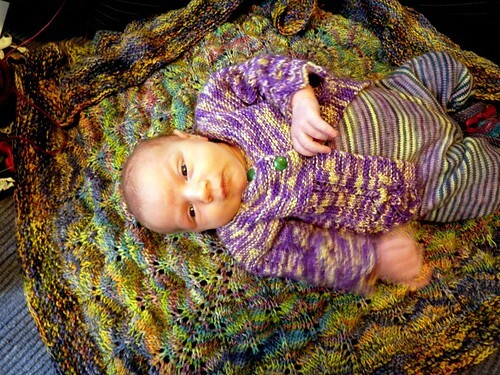 That even includes reknitting the sample and coordinating with Louise for photos. The whole process was not only quick (an advantage to putting patterns up all the time instead of in issues) but very pleasant. 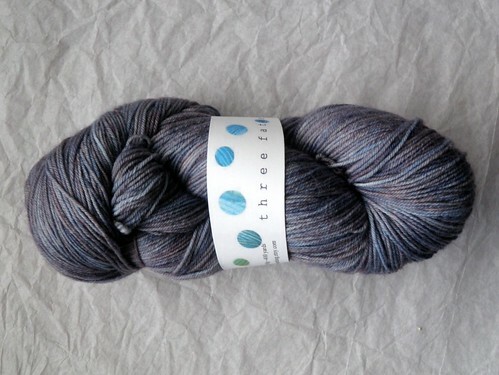 I even got to try a brand new yarn, Stroll Tonal, that was released a few days after I started my sample. 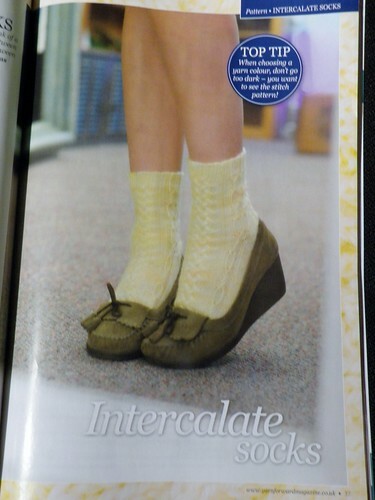 You can buy the pattern for $1.99 through Knit Picks or on ravelry. All photographs in this post were taken by the lovely Louise.